Pizza parties. Game nights. Movie nights. Seemingly clever little ideas to draw youth into the church or keep them in. It all sounds good, maybe done with good intentions. Food! Fun! Fellowship! Make it all worth their while. Give them a reason to want to come. We do need to at least make it a little more exciting, right? After all, who wants to go to another boring service? Give them something to do. How about a dance ministry? Step team? Mime? Anybody down for the drama team? Let’s call another week or two long revival, with an exciting guest speaker–or maybe a concert. That’ll bring them in won’t it? Here’s a novel idea: we’ll let them preach to one another and let them have their own worship team. Not a problem here; except let’s make sure that all the parties involved are saved first please? Let’s top it all off with some good music; not that slow old fashioned kind–something new, fresh, rhythmic and LOUD—because every little bit helps. Unfortunately, the church has dug deep into the world’s grab bag and tried to implement many of these things into itself. We cannot win the world to Christ using the worlds’ methods. The church has also, without realizing it, tried to improve upon the gospel message. By that I mean to make it more palatable to the taste. Let’s not talk so much talk about sin, and the blood; that’s not appealing. Let’s give them something more soothing and inviting. When this is done, it becomes watered down. A watered down Word will not and cannot save anyone. I’m well acquainted with most of the arguments for these things. One, for example says ‘Young people need to express themselves; they need an outlet.’ Take dancing for one. They say, ‘After all, didn’t David dance before the Lord?’ Oh yes he most certainly did! Only David’s dance was not choreographed; his was spontaneous praise. If all any church can do is to play the music louder and faster to get the youth, (or anyone else for that matter), to jump higher, sweat harder, dance better, and shout louder, then what has been done? Nothing. Where’s the anointing? The doing of all those things does not guarantee the Spirits’ approval or presence. The church is not an entertainment outlet. Instead of ‘shakin’, rattlin’ and rollin’, the church should be evangelizing and preaching and reaching the lost with the gospel. Not prosperity. Not social justice. Not a ‘happy, feel good’ word. You go ahead and live ‘your best life now’, and be as ‘purpose driven’ as you want to be, but there are hard times coming. Much harder than the hokum that’s being preached now can handle. The true, cross-centered gospel will liberate the sin-chained souls of men and women. None of the pseudo-gospels (which are actually no gospel at all), have any power to save or set free. For I am not ashamed of the gospel of Christ: for it is the power of God unto salvation to every one that believeth; to the Jew first, and also to the Greek. (Rom.1:16). These so-called gospels only pander to the flesh and to those with itching ears; yearning to be told that everything is alright. From where I stand, young people are disenchanted; many are deceived, and even more are lost. I see young people leaving the church because they do not see and have not experienced anything that is real. Sheer emotionalism will not cut it; and it is the fault of the church. 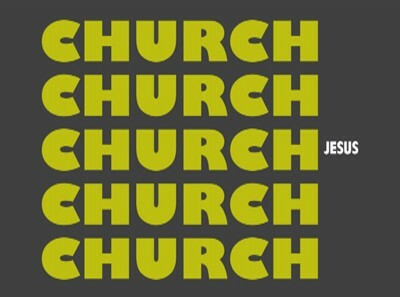 Young people and others are being fed a steady appetite of ‘church’–or what is called church, and not enough Jesus. More dancing, more sweating, more jumping, more shouting–and no anointing. No power. There is nothing wrong with these things in themselves, but is that all you have? When the enemy attacks and comes in like a flood, if that’s all you do have, then the enemy will come in like a flood, and overtake them! The church needs to come home to the Cross. That’s where our life in Christ began and where it needs to stay. There are no alternatives. It cannot be improved upon or minimized. Preach it. Teach it. Proclaim it. Live it. Cherish it. That’s the Word. Take it with you. God bless you.